We are a boutique catering company based in the beautiful Forest of Dean, Gloucestershire. Our Head Chef – and the driving force behind the company – is Ian ‘Barney’ Barnes. Barney is an obsessive foodie who is now ‘infamous’ for making even the strongest-willed diner come back for seconds. He has travelled to over 40 countries in his pursuit of the world’s most #unforgettableflavours. But at the same time he is also passionate about using ingredients that are British, in season, and where possible locally sourced. The result is incredible fusion food that sits in perfect harmony with the Gloucestershire seasons. 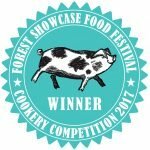 If you’re looking for exciting catering in the Forest of Dean area, you’ve come to the right place! First of all, we mostly cater for events from 12 up to around 200 people. Most notably, Barney will work with you from start to finish creating tailored menus, cooking and serving you alongside his friendly support team. During midweek we focus on business lunches and events. Sometimes we can do smaller private bookings, subject to availability. Certainly contact us if you would like to find out more about offers for catering on Monday to Thursday. We love to cater for weddings, with a focus on great value sustainable options to suit your budget and conscience. We also run Infamous Catering ticketed events and supper clubs, which everyone is welcome to book and join in. 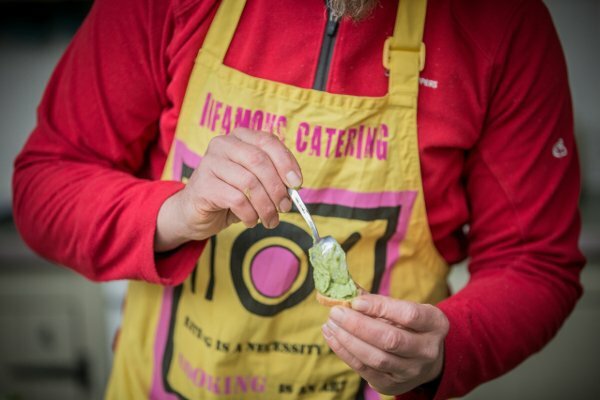 If you are looking for wedding or party catering in the Forest of Dean, and would like to check us out incognito beforehand, these are a great idea! 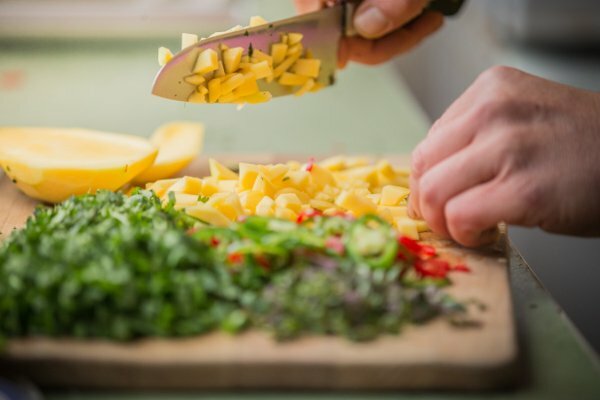 From general dietary requirements to vegetarian or vegan – just name it – we are always happy to try and create all-inclusive menus. We can cater for you pretty much anywhere your imagination can conjure up. From local breweries to Mongolian yurts… with the odd village hall in between. Barney recently demonstrated that he can make anything taste good. He won a competition at the Forest Showcase Food Festival, by managing to make edible insects taste delicious!